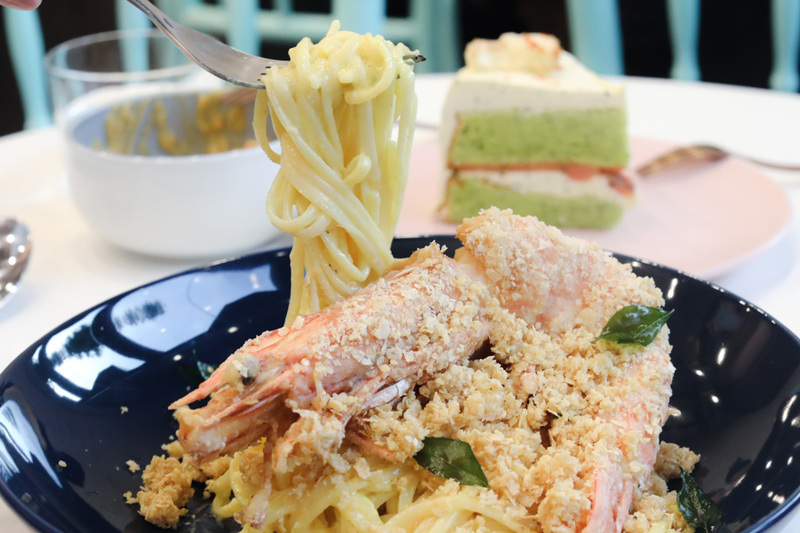 The food items on the menu may get you noticing… Unagi Sandwich, Century Egg Pasta, Carrot Cake with Nacho Cheese. 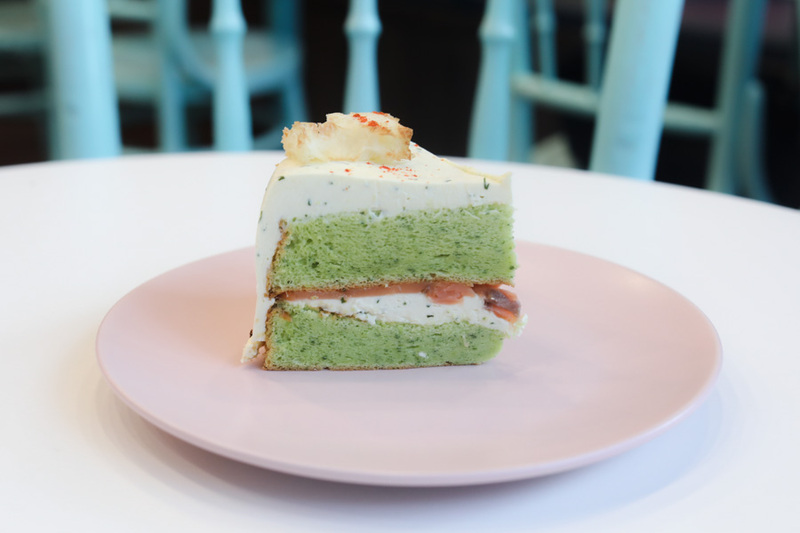 Though I would say nothing there would beat Smoked Salmon Cake in terms of unconventionality. 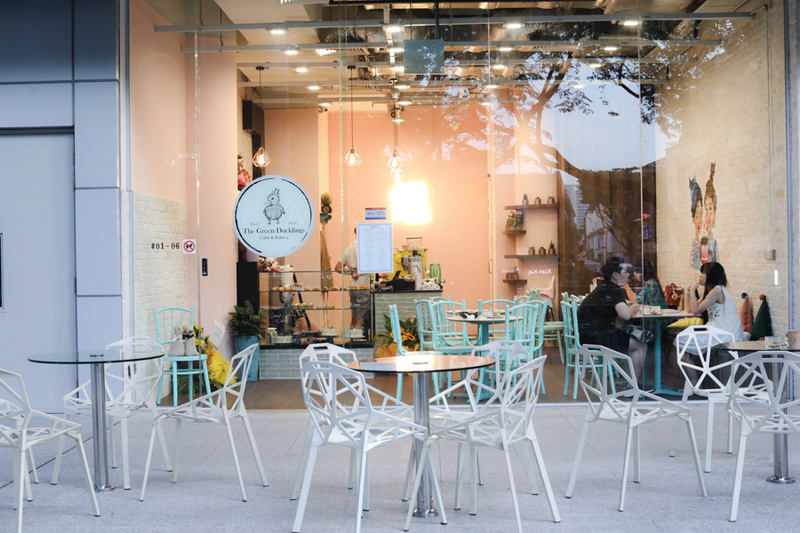 The Green Ducklings is newly opened at The Concourse Shopping Mall at Beach Road, with Wakey Wakey as its neighbours. 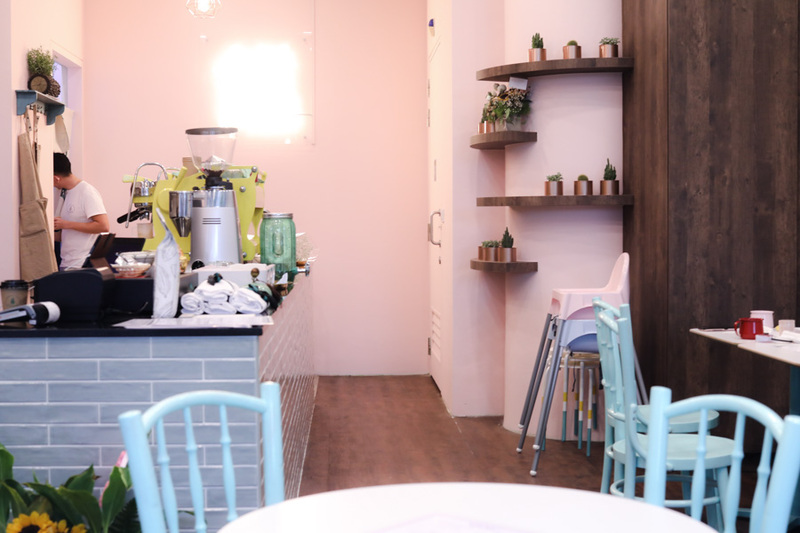 The café is set up by two “green ducklings” who were previously culinary students from Temasek Polytechnic. After 4 years in the industry, the two friends have decided that working for others in the F&B field is “not well paid” with many restrictions, and wanted start their own business. This name of “green ducklings” also suggest that they are adventurous with little to fear, even though they may still be ‘wobbling around’. When asked about the challenges when opening a café at such a young age, they shared that they had a lot of convincing work to do, especially to their parents. 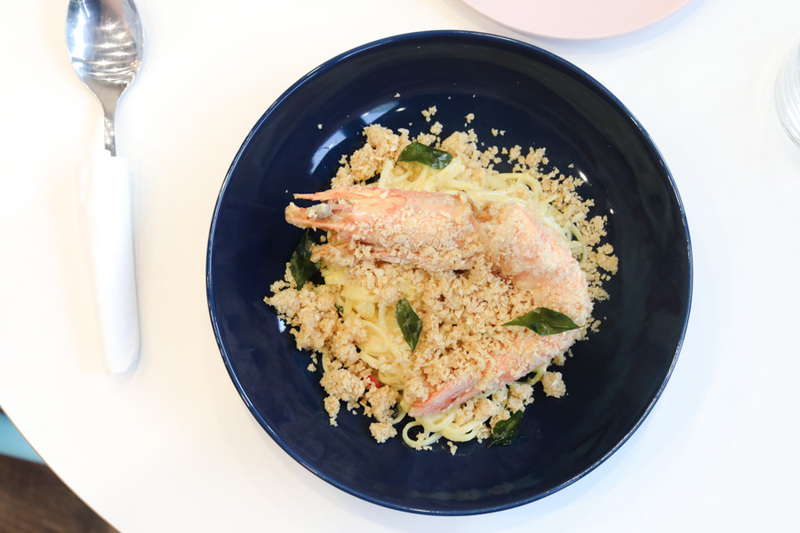 In terms of starters, you get choices of Shrimpy Seaweed Fries ($5.90), Scrambled Egg & Bacon, and Poached Egg with Chilli Lim Butter. 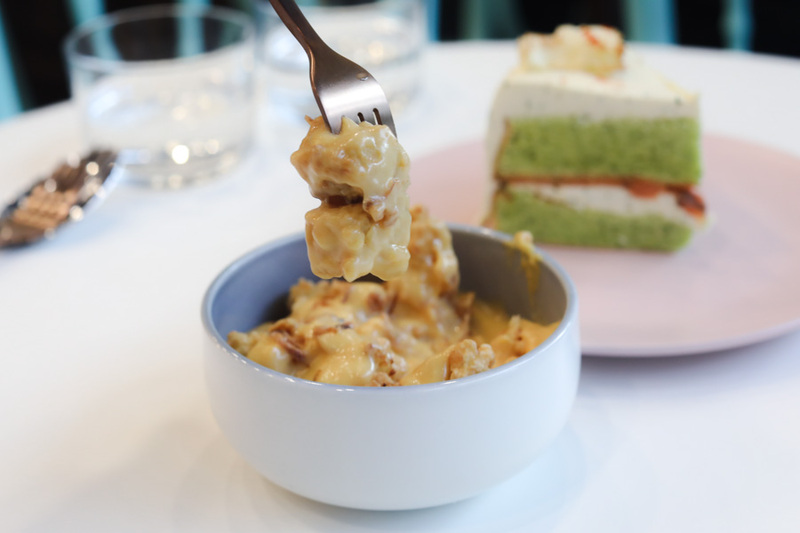 But those were not as intriguing as the Fried Carrot Cake with Nacho Cheese ($5.90), which turned out to be not bad a choice as you get the familiar local-style Chai Tow Kway drenched in Nacho Cheese Sauce. Seemed like a sinful, heavy, rich starter, and it was. Just treat it like having fries, and your mind would feel better after that. Maybe. 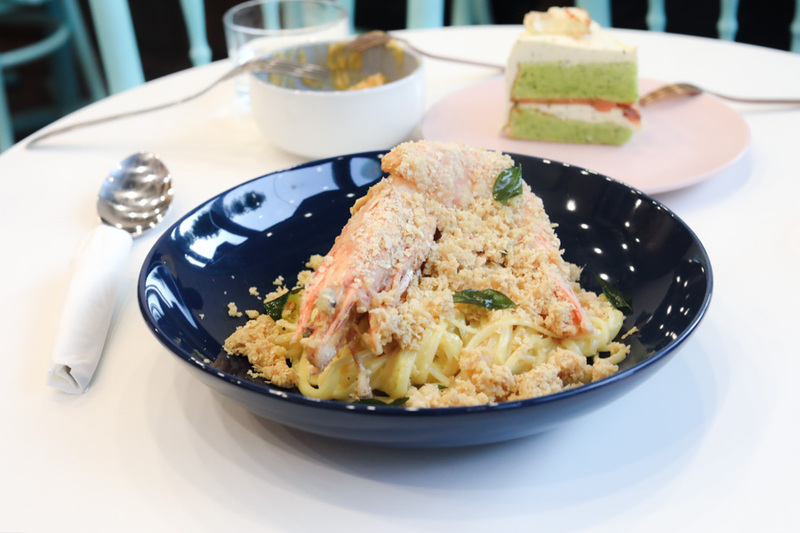 Three pasta choices were available – Cereal Prawn Pasta ($18.90), Century Egg Pasta ($16.90), and Meatball Pasta ($15.90). 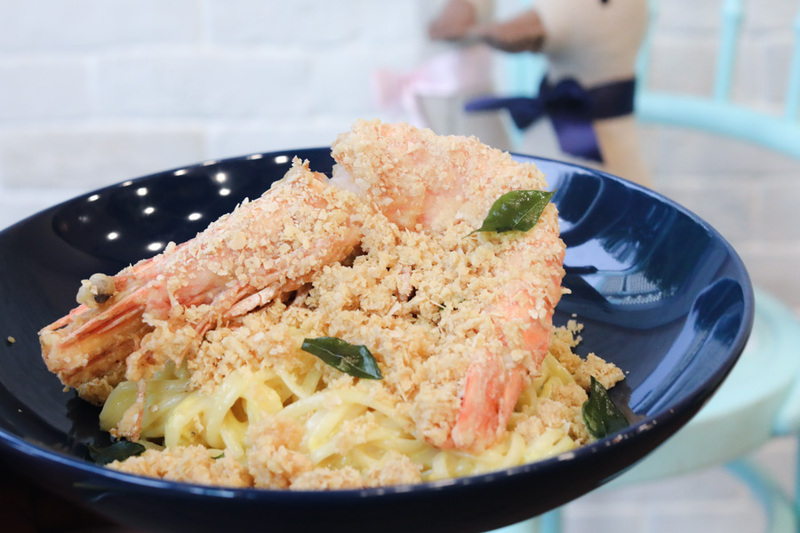 The Cereal Prawn Pasta was topped with a giant prawn, added with the crumbly bits that had this milky-sweetness. Its weakest link I thought was the cream sauce itself, which didn’t blend well with the rest of the ingredients. I think it needed some form of an ‘Asian-ness’ to it, or say curry-spices to bring out the flavours better. Another feature are the cakes done by the co-partner, who also bakes at @blooperscreation. Of course, I just needed to try the Smoked Salmon with Dill Cream Cheese – which is likely a love-it or hate-it thing. To me, the balance of sweetness and savouriness could have been better managed, and cutting away some of the cream cheese, and adding a sweet element somewhere could make this work better. 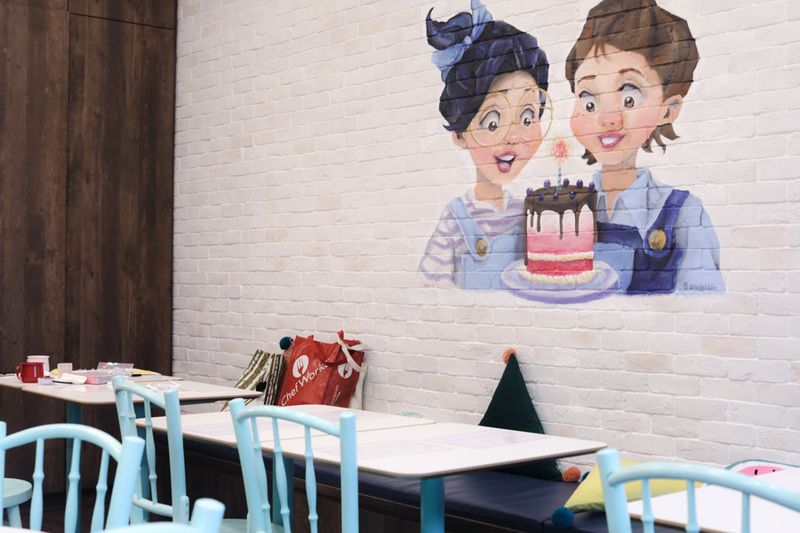 We should applaud the young and bold who take their first step out in this risky F&B industry, especially in the offering of more unusual food items which need not be ‘instagrammable’.